The project moved to a more permanent home. 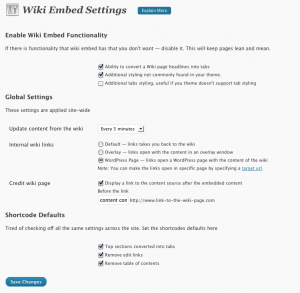 So I have finally finished round one of wiki embed implementation, and I need your help testing it. 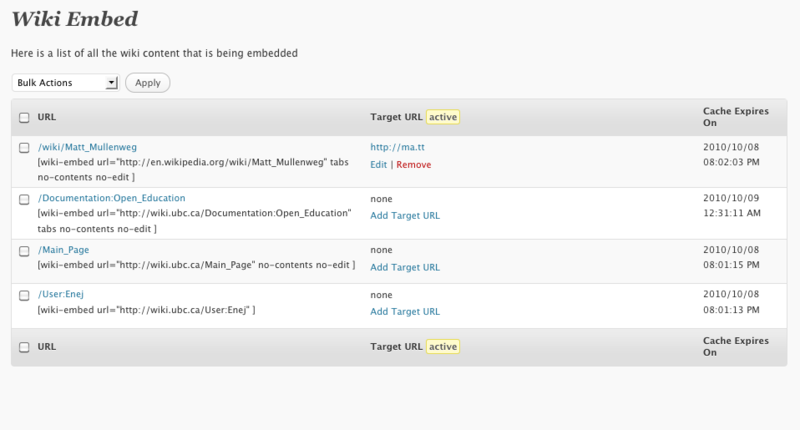 The install is quite strait forward, upload the unziped plugin, to you WordPress plugins folder and active it. After that please report any bugs, problems, spelling mistakes 🙂 and any confusing bits by posting a comment or sending me an email at enej.bajgoric@gmail.com. A page that list all the wiki content that is embedded on the site. 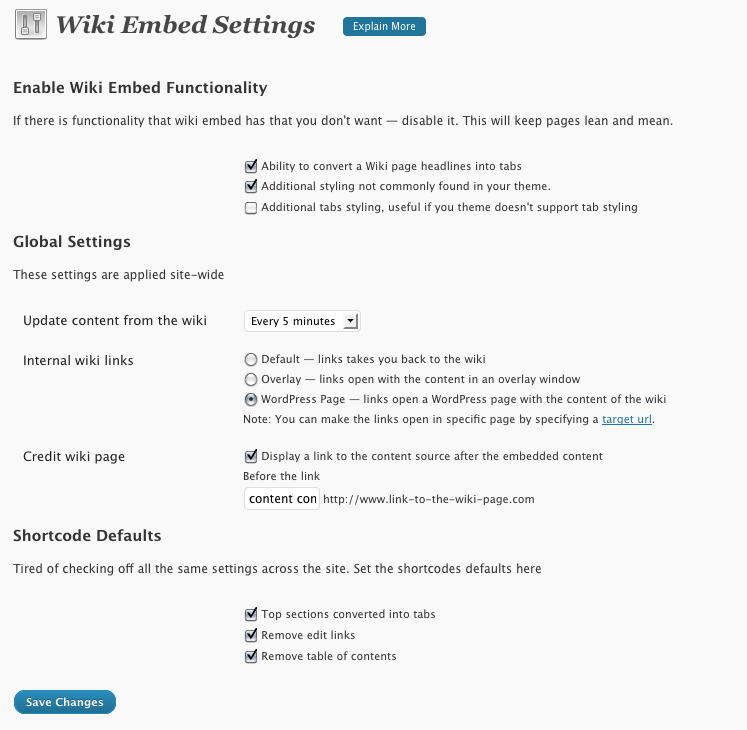 a look at the wiki embed settings page. 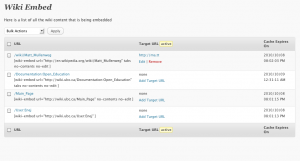 A way to embed a media wiki page inside your site.